2016 has been the year VR gaming has taken serious steps toward the mainstream. With a plethora of providers releasing their VR headsets and accessories, and more games platforms adjusting to these pieces, users are becoming immersed in the virtual environment during their game play like never before. 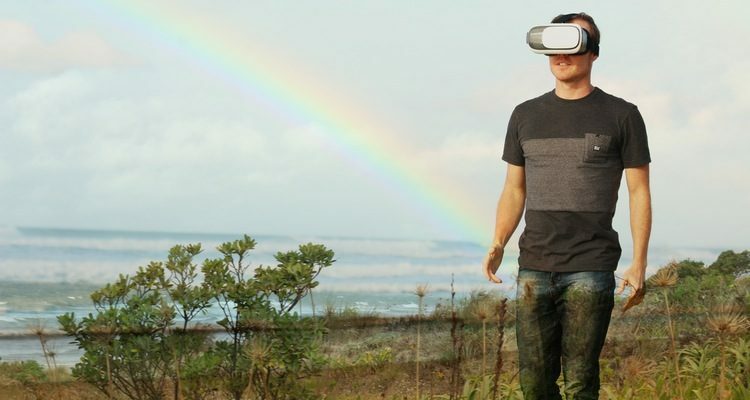 Various sectors are becoming interested in incorporating VR into their daily operations, with Facebook having recently acquired Oculus Rift and wanting to expand its VR experience, and businesses now looking at using VR in their staff training programmes. Current VR headsets have long opened up the market; thanks to Google’s Cardboard, anyone with a mobile can make their first tentative steps into VR, and the much-vaunted Oculus Rift, using sensors and camera to enhance movement detection, compliments experiences on Xbox One and higher spec PC. This is soon to be followed up by the Oculus Touch controllers. For better freedom of movement around real space, the HTC Vive uses Infra-red sensors placed around the room, using these to integrate the real dimensions of your space into the virtual mapping of the game. Unlike the Oculus rift however it doesn’t come with the integrated headphones to go with its slick graphics. For an accessory that doesn’t need a high end PC to run on, try the Sulon-Q which comes with its own built in processor to take the burden off your hardware. It also comes with earbuds for 3D- audio and noise cancelling mics, as well as inbuilt lenses to use augmented reality applications too. With these examples and in a post Pokémon Go environment, it is difficult to see how the general VR market hasn’t expanded more rapidly in recent years. This could be down to slow availability in the market for compatible hardware, and a demand gathering at snail’s pace due to availability. But momentum seems to be gaining. It has been said much in recent months that there is a huge untapped market in other forms of gaming, like online casinos, where the global legal landscape will need adjusting to depending on country. Online casino providers currently provide a virtual experience by having real life dealers interact with an otherwise virtual world, via webcams. The likes of luckynuggetcasino.com do this as well as the providing virtual tables with which many are familiar. But using VR headsets, players can turn their living room into an at home casino. An increasing number of providers are competing to bring platforms that see users interact with other players, play all their favourite games like poker or Blackjack, sit at tables, walk around life like casino spaces and even be served virtual drinks. At the moment, there are relatively too few users with whom to interact on such a platform. At the moment many users might not be at the games console end of the spectrum when it comes to shelling out for VR accessories. Soon be launched, the Google Daydream offers a powerful platform specially designed for mobile VR. Users slot their phone, expected to be at the brand new Android spec end, into a sturdy headset, where apps and video content will be made more accessible. The VR content for the newer android phones will be enhanced, via a tweaked version of Google Play and with an accompanying Daydream controller with built in motion sensors. With the rush to incorporate more and more industries and forms of gaming into VR, we anticipate an explosion of the VR market in 2017.